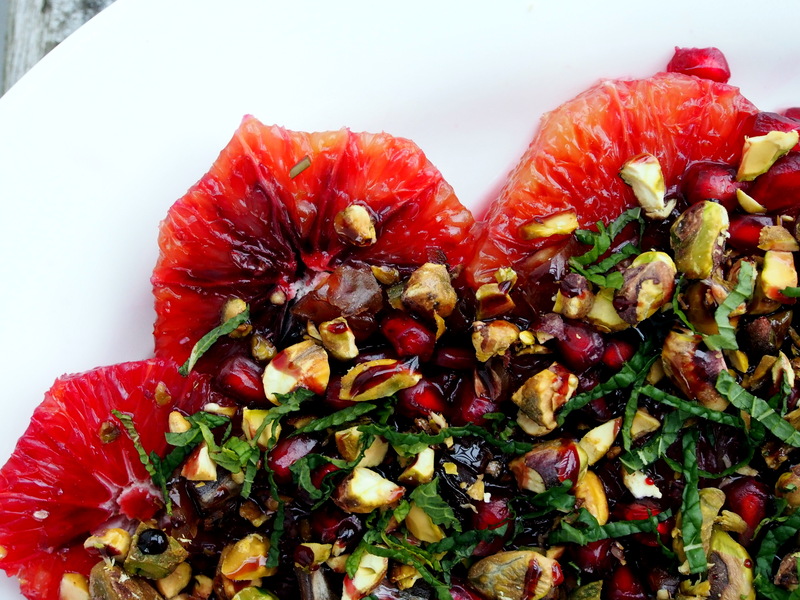 In a small bowl, whisk together the pomegranate molasses, honey and orange-blossom water. Lay orange slices on a large, white platter. 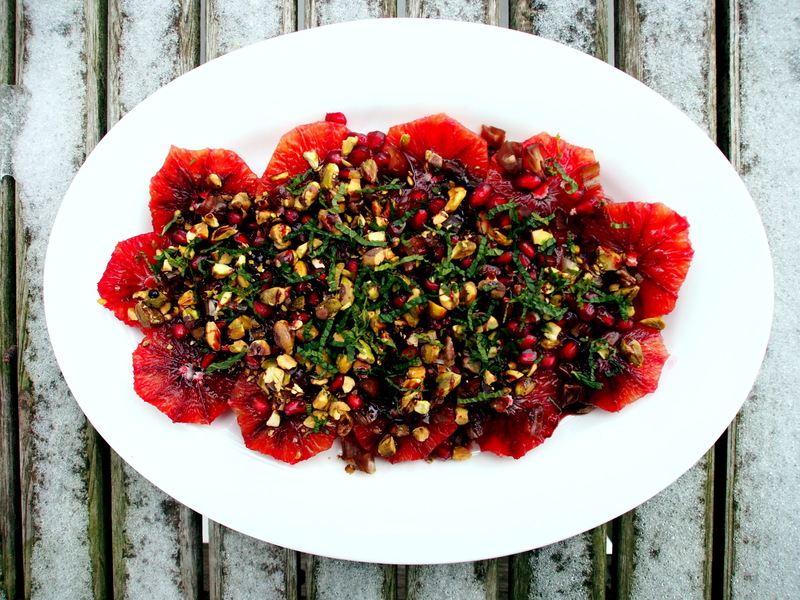 Sprinkle with dates, pomegranate seeds and pistachios. Pour the molasses mixture over top, sprinkle with mint and serve.